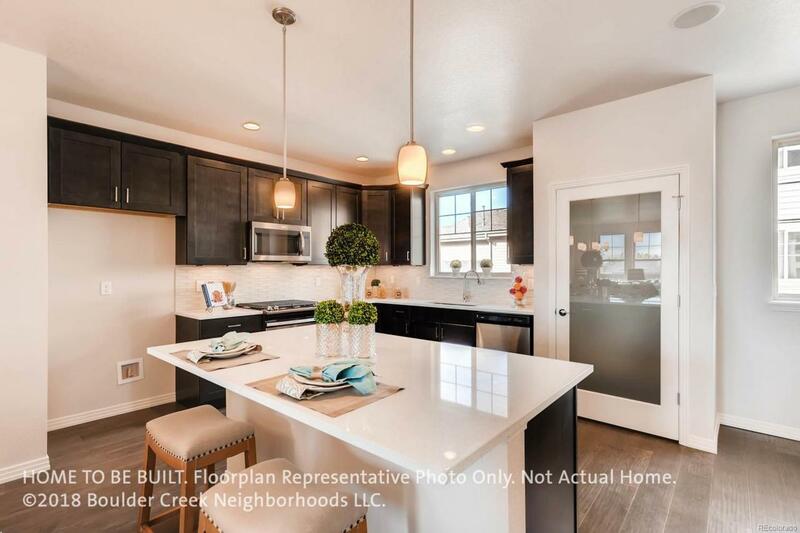 This Low-Maintenance Townhome is designed to fit your life in the new Denio West Community in Longmont. Located off 9th and Hover, this popularYourHouse 26 Floor Plan features an Open Great Room, Upper Level Loft and 3rd bedroom and Full Bath on the Lower Level. Built by Boulder CreekNeighborhoods- this home has a large open kitchen that includes an island with added pantry storage. The kitchen opens into the living room withvaulted ceilings and a fireplace plus a dining area that has large windows for loads of natural light. The large covered front patio offers room to grill andentertain. Photos of Model. Move In June 2019.